I grew up in western Kansas. Land of giant jack rabbits. Tumble weeds. Beautiful sunsets. Vast horizons. And wheat. Lots of wheat. I spent a lot of time on the family farm in the northeast part of Finney County. Much of the land was broken out by my grandmother’s father and uncles around the turn of the century. Growing up, my brothers and I rode trucks, tractors, and combines, climbed windmills, fell off windmills, walked miles of fields, hunted pheasants, raced motorcycles, and generally had a great time. As we got older, we drove the trucks, tractors, and combines – planting and harvesting wheat and milo. Farming and teaching social studies have some similarities. I was reminded of this during a conversation yesterday about types of farm implements. No. I don’t farm anymore. But, yes, I still live in a small farming community and so much of my coffee drinking buddies still farm. So. A farm implement is basically something you drag behind your tractor. And while there are many different sorts of things you can drag behind a tractor, two of the major types of implements are harrows and plows. A lot of my time in a tractor was spent pulling what is called a disc harrow. (Basically because it was hard to screw anything up while pulling a disc harrow.) 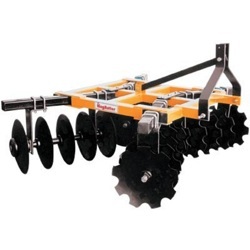 You “disc” a field to loosen the ground and to chop up weeds or crop residue prior to planting your next crop. 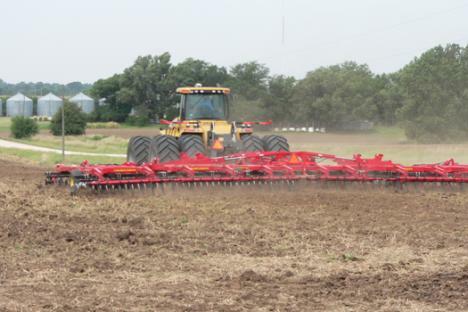 A disc harrow is very wide, allowing you to cover a lot of ground. You can also drive relatively fast because the discs in the implement only dig in a few inches. A plow is something very different. 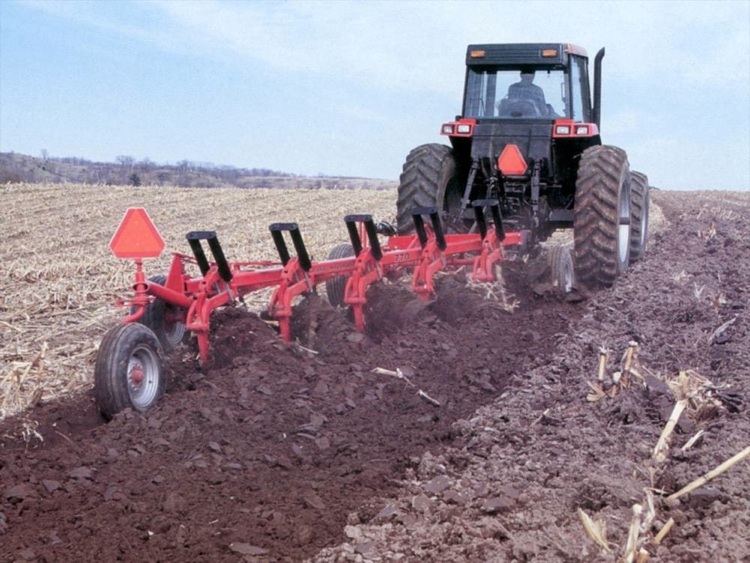 A plow is designed to dig deep into the soil, with the intent to turn over the top layer. My great-grandfather used a simple plow to break up virgin prairie to prepare it for planting crops. Because the plow digs so deep, perhaps as much as 12-18 inches, you must travel much slower. The implement itself is also much narrower, covering less ground than a disc but turning over much more soil. This is where I started seeing similarities between farming and teaching social studies. It’s not a perfect analogy, I know. But I think sometimes we spend too much time discing rather than plowing. We travel fast and cover a wide swath because we think that the field is so big. We don’t go very deep, just a couple of inches, because if we dig too deep we wouldn’t be able to finish before it gets dark. We argue that we need to get to all of the chapters in the book. That kids need foundational knowledge before they can do any historical thinking. So we simply deliver the content via lecture or reading or worksheets. Then a quick quiz that “measures” their learning. Then it’s on to the next chapter. Plowing can be more difficult. It’s slow. You can’t cover as much ground in a day. But you’re turning over rich soil. You’re spending time on something that will pay off later. Teaching kids to think historically is like that. You pick a subject and you spend a lot of time digging into the topic. Kids turn over a lot of information, looking at lots of evidence as they ask questions and solve problems. You can’t cover as much stuff as you used to but kids are leaving your room with skills they can use later. Your assessments look different too – with a focus on process, not just content. Not a perfect analogy, I know. But there are similarities. We need to plow more and disc less.